A trip to Florida isn’t always about soaking up the rays. You can also soak up some history and get a workout while you’re at it, with a visit to one of these gorgeous landmark lighthouses that still let visitors take in the view from the top. 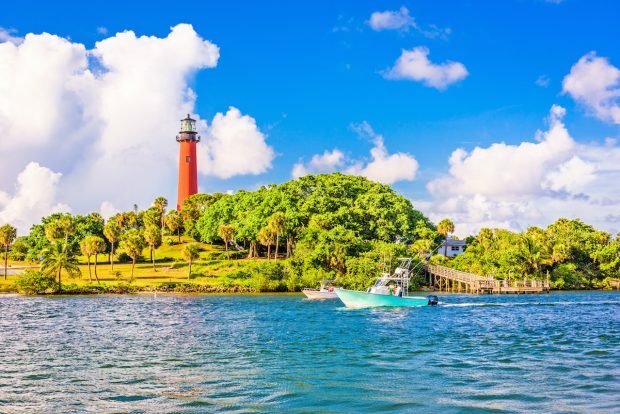 In addition to tours of the 1860 lighthouse, Jupiter Inlet is home to a museum which lets visitors explore the history of the region. Plus, it offers fun year-round activities like twilight yoga and free nature hikes. Before you visit, you can even download an app that allows you to take a self-guided tour of the lighthouse. 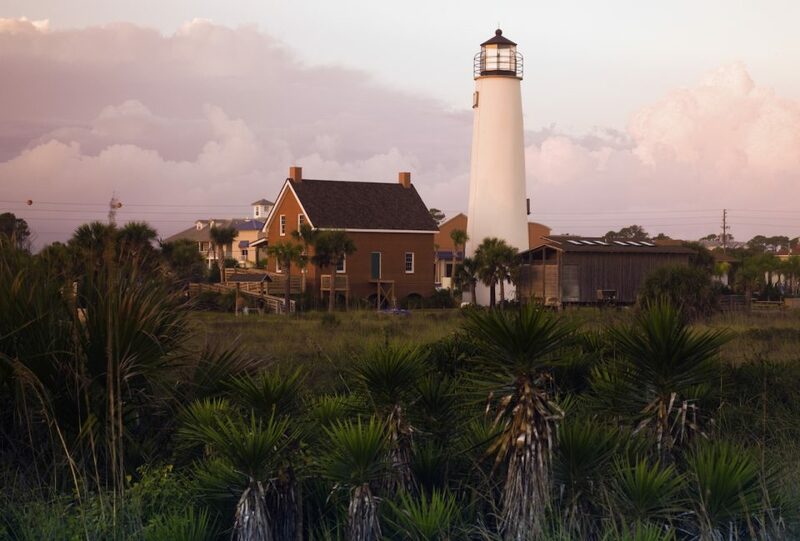 Located near the North end of Anastasia Island, the St. Augustine Lighthouse is still fully-functioning and also features an on-site maritime museum. 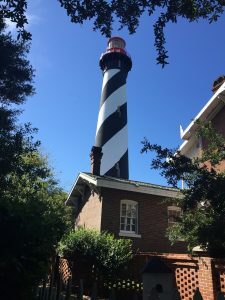 For even more context, you can take a family-friendly, behind-the-scenes tour that peeks into the past of the lighthouse and the St. Augustine area. There are plenty of draws for kids, too, including a scavenger hunt and play area, and nature trail. At Cape St. George, if you’re at least 40 inches tall and can climb 92 wooden spiral stairs, plus an eight-rung metal ladder, you’ll be handsomely rewarded with stunning views of the Gulf of Mexico. More adventurous types can even crawl through the scuttle hole to access the lantern room. You’ll actually find the Pensacola Lighthouse, constructed in 1859, onboard the NAS Pensacola. Follow the 177 steps up to the top, and you might just catch a practice flight by the famous Blue Angels (who fly frequently nearby) in addition to Gulf vistas. Adjacent to the lighthouse is the keeper’s quarters, which hosts a museum … and reportedly, some ghosts, too. 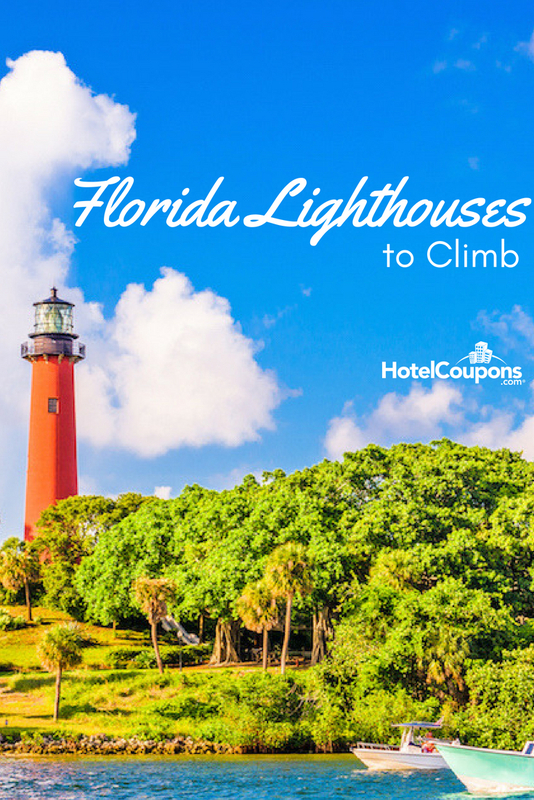 The towering Ponce de Leon Inlet Lighthouse is the tallest one in the state and allows visitors to climb over 200 steps to reach the top- a staggering 175 feet up- and admire the beautiful beach below (and beyond). 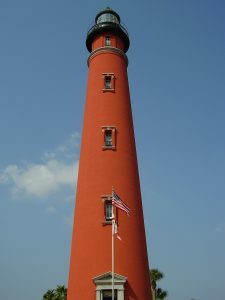 The lighthouse, which is only about a 10-mile drive from Daytona Beach, draws approximately 170,000 visitors a year.